As the outbreak of the plague in Madagascar continues to evolve at a pace with 230 new suspected cases including 17 deaths an alarming development has seen the disease arrive in the Seychelles Health officials in Seychelles have confirmed that 3 people have tested positive for the Bubonic Plague. A Seychellois basketball coach died from the disease late last month in a hospital in Antananarivo, the capital of Madagascar, according to Today in Seychelles, where 42 people have died from the "Black Death." The coach, Alix Allisop, was assisting the Seychelles men's reigning champion of the Beau Vallon Heat in Madagascar during the Indian Ocean Club Championship. The government of Madagascar over the weekend confirmed that the death of Allisop was due to the pneumonic plague. The other members of the Seychellois basketball delegation, who were in close contact with Allisop, have been under observation since they returned to the country, Gedeon said. They are now at the military academy at Perseverance, a reclaimed island on the outskirts of Victoria. According to the World Health Organization (WHO) pneumonic plague, or lung-based plague, is the most virulent form and can trigger severe epidemics through person-to-person contact via droplets in the air, as well as flea bites from infected mammals. The incubation period can be as short as 24 hours. 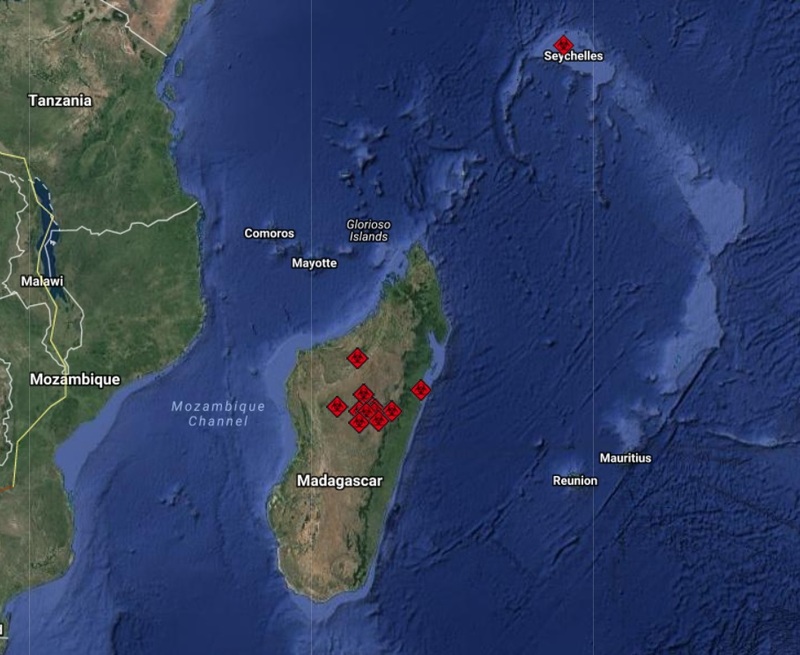 According to the Seychelles News Agency, the Seychelles' Ministry of Health on Wednesday advised all airlines and travel agents to discourage people from travelling to Madagascar due to the plague outbreak. Additional health measures at Seychelles' main airport have also been put in place. Jude Gedeon, Seychelles' public health commissioner, said that officials have put in place walk-through and temperature scanners at the international airport to detect cases. A form is also being given to disembarked passengers to state if they have any symptoms similar to those brought on by the plague. Additionally, as a precaution, all schools in Seychelles are closed for the next 6 days as it is not yet confirmed that contact was made with any of the teachers.